I like to think of the beginning of Winter as a time to shed any worries or cares; to strip myself bare and rekindle the flame of my inner being. So I spend these last Autumn moments frolicking in every ounce of sunshine I can, catching as many falling leaves as I can and relishing as much of its last bounty as I can. What things do you like to do before Winter begins? These muffins remind me of childhood lunches with sticky fingers, crumb dotted mouths and high pitched squeals of joy. 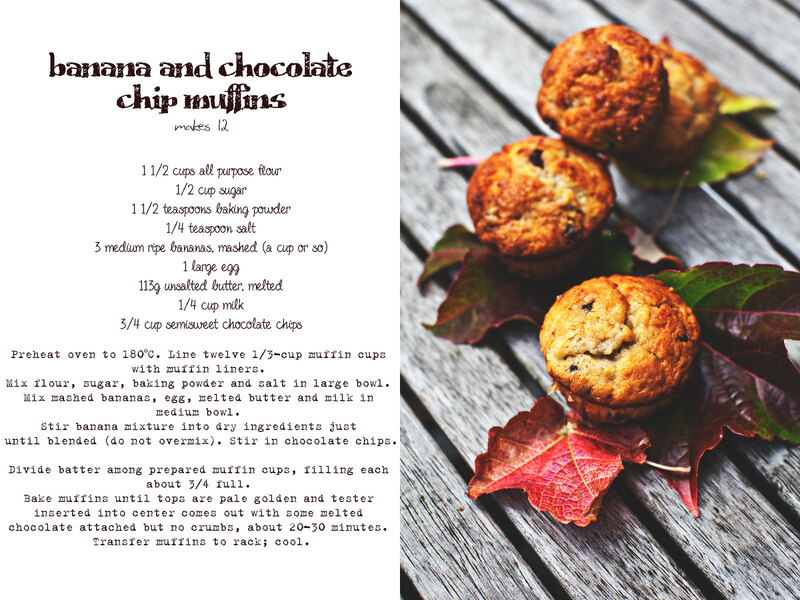 The muffins are wonderfully moist with pockets of sweet banana and patches of dark, melted chocolate. They are quite sweet despite the fact that I did reduce the amount of sugar by 1/3cup although I did add a little more banana, the sweeter your bananas the less sugar you need. They might seem rather ordinary, but I add three of these straight from the pan. would I make them again: Yes. You can't go wrong with that combo! Delicious. Looks beautiful! I love a good muffin and yours looks awesome. You know, I've never thought about what I like to do before winter... making the most of Autumn sunshine, yes. Perhaps also starting to enjoy the cold, staying even more rugged up. A muffin like this is just a bonus :) Lovely. p.s. I must admit, though, I am sad to see the trees go bare. 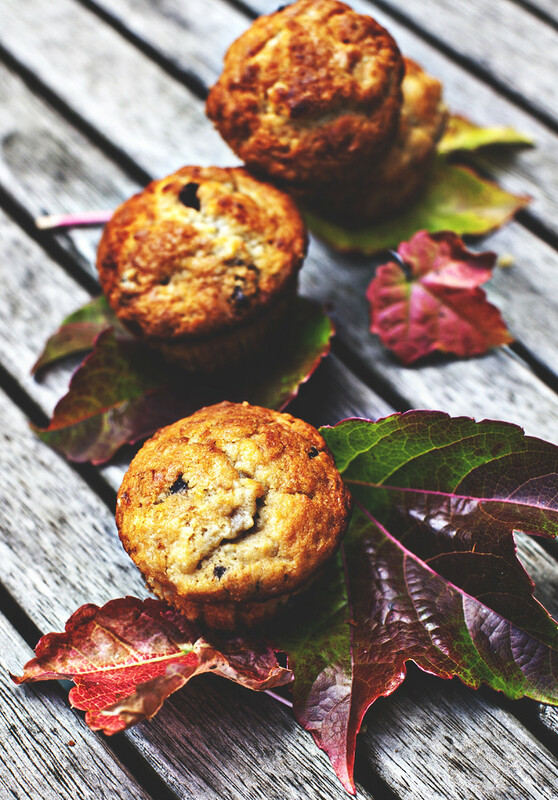 Gorgeous muffins. Banana and chocolate are such a wonderful combination. Before winter begins I like to make up big batches of vegetable stock and free it ready for all the soup making I will be doing in winter.